Our circuit must be look like the images above. Download GyroscopeSensor.ino source code and upload it. 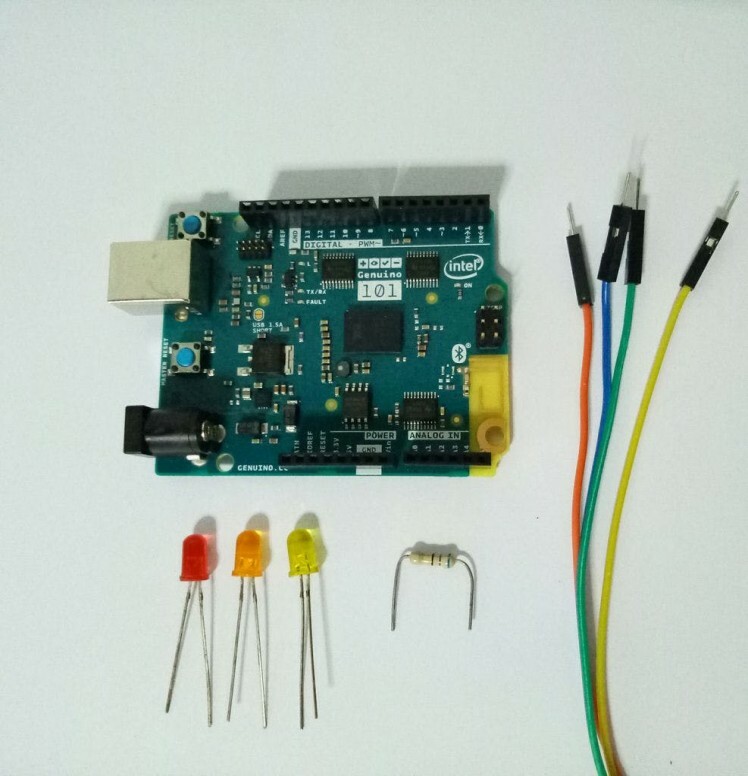 Arduino 101 has Intel Curie Module that uses Arduino api CurieIMU.h We can read the accelerometer and gyroscope using this function.